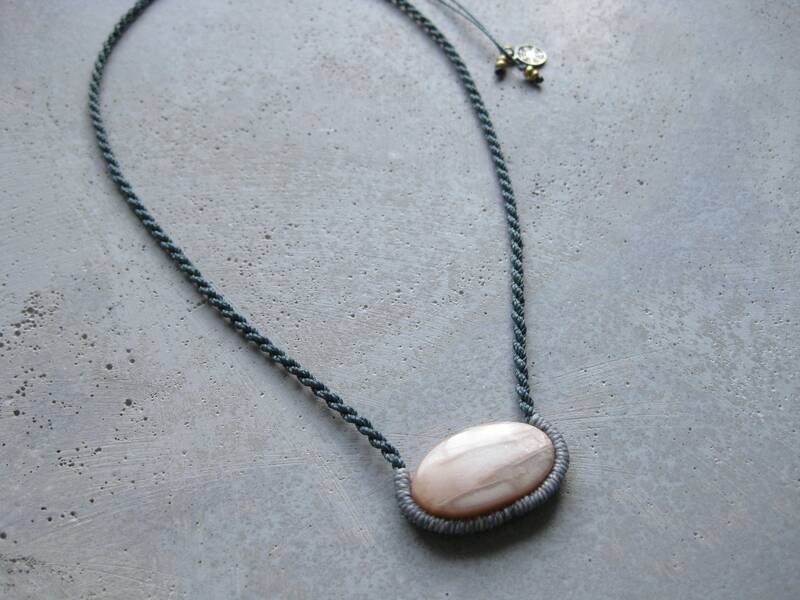 O n d i n e . Pink Moonstone Fiber Macrame Necklace . 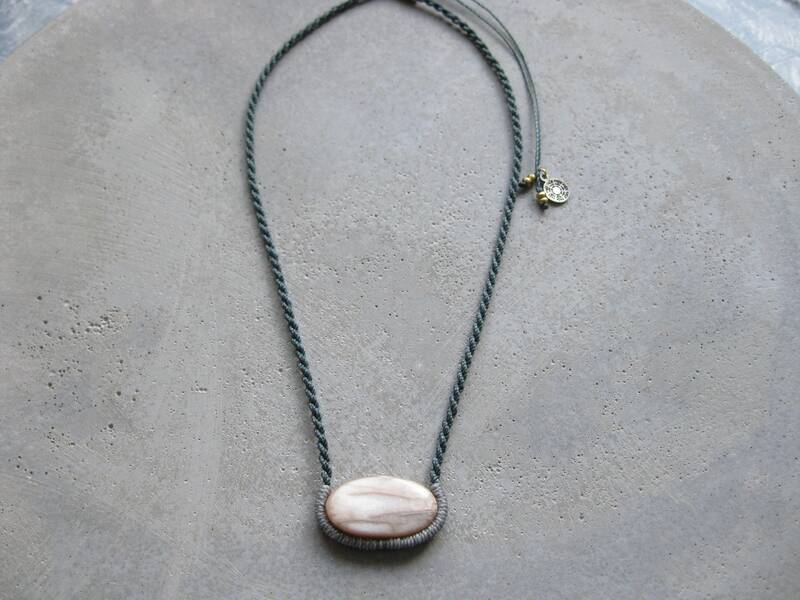 © Design by .. raïz ..
Macrame rope necklace with a beautiful Pink Moonstone cabochon for a soothing and original twist to your outfit. 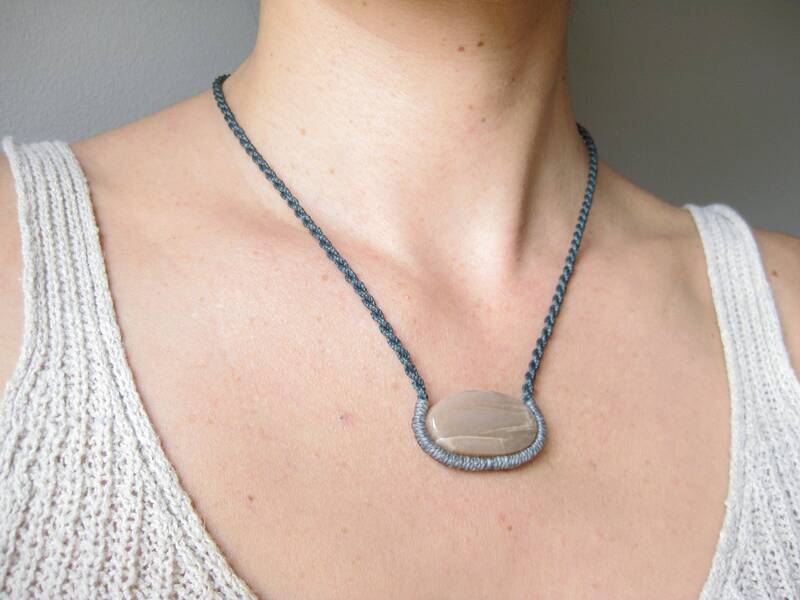 Featuring wavy lines and contours, this metal-free necklace was inspired by the mythical creatures of the water realm. Made .one knot at a time. by micro macrame technique with high quality waxed polyester string for sturdiness and durability. 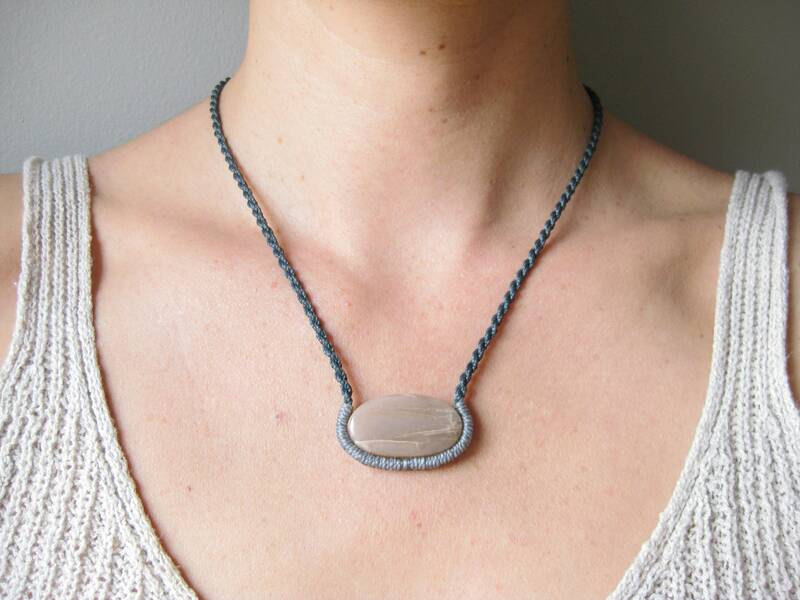 .. O n d i n e .. necklaces adjust with a "pinch & slide" knot: simply position to the desired length. 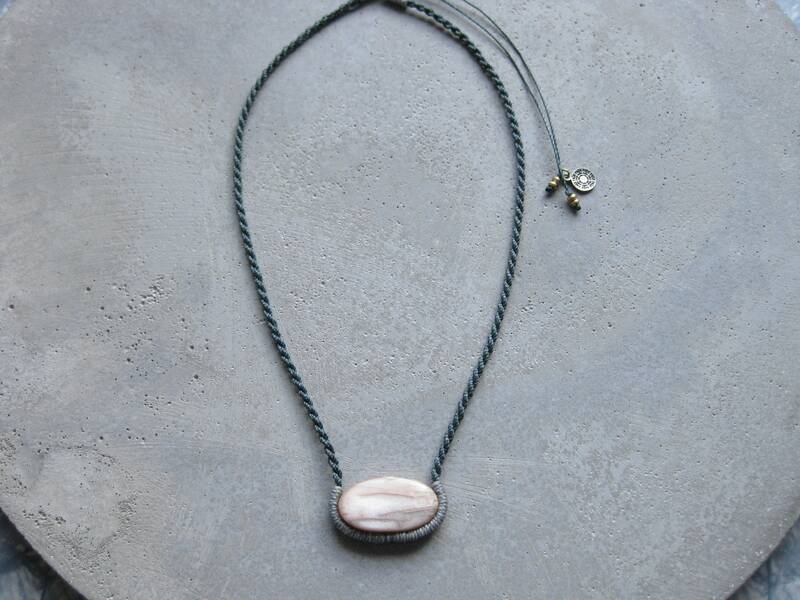 It will be 24 inches at its longest but it has been designed to be worn higher up, just below the collar bone. The stone cabochon is about 0.75" x 1.25"
Copyright © .. ra ï z .. by Mélanie Lussier . All Rights Reserved.